Did you know that estimates show approximately four million cats are entering animal shelters each year with one to two million being euthanized? The folks behind National Cat Day are on a mission to lower that number by helping more cats find forever homes on October 29. In the shelters, cats are often overlooked when compared to dogs because they don’t carry titles like walking companion, travel buddy or guardian. But cats have several other redeeming qualities. They help lower blood pressure, decrease stress levels and provide unconditional love. Learn about all of the benefits of owning a cat. Cats make about 100 different sounds while dogs only make about ten. Cats sleep a lot! In an average day, a cat spends about two-thirds of it sleeping. Similar to a human fingerprint, each cat’s nose print is unique. A cat can jump up to five times its height in one leap. Cats only meow at humans. They will typically hiss, purr and spit at other cats. A cat uses its whiskers to judge the size of spaces. Scientists don’t know exactly how cats purr. A cat’s jaw cannot move sideways, so they are unable to chew large chunks of food. House cats share approximately 96 percent of DNA with tigers. We are all encouraged to spoil our fur babies in honor of National Cat Day. Think about purchasing a new toy, giving them an extra tasty treat and providing additional pets and cuddling. Of course, the best way to celebrate is to save a life. If you have the ability, adopt from your local animal shelter. Let’s work together to decrease the number of homeless animals currently housed in local shelters. Happy National Cat Day from Lions Pride! Convention Season is upon us! If you’re a seasoned Lion or Lioness, you know that October kicks off a series of district conventions before the holiday break; next week, we’ll be headed to Dale’s Weston Lanes to meet with area Lions and spread the message of Pride at the 27-C1 District Convention. The convention will begin Friday night at 7 pm with a live auction and seafood buffet. All clubs are asked to participate by donating an item or two. All proceeds will benefit WLF projects, including Lions Camp. The big question is, who will take home the famous putter this year? Attending members will get their legs moving bright and early on Saturday morning with a Strides Run/Walk, taking place from 7 am to 11:30 am. The Strides events promote diabetes awareness and the importance of healthy exercise for people with and at risk of diabetes. 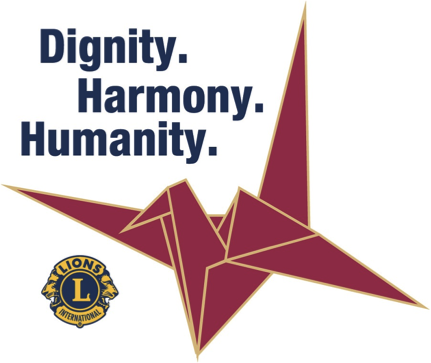 The remainder of the day will be dedicated to educational seminars for Lions to come together to learn, connect and share their passion for the LCI community. You’re not going to want to miss this event – especially if you are a new member. There’s no better way to learn about Lions than by attending one or more district conventions. If you’re planning on attending the C1 Convention, be on the lookout for our Executive Director Geri Schlender and President Sam Kochel. We will have a table display set up in the Exhibition Hall if you’re interested in learning more about the impact of Lions Pride. We’re looking forward to a weekend filled with camaraderie and education. Why are you excited to attend the C1 Convention? We’d love to hear in the comments below. Happy Convention Season from Lions Pride! Why Does Christopher Columbus Get All the Credit? For the first time in September, it finally feels like autumn has arrived at the Lions Pride office. With the summer of 2017 officially behind us, it feels like there is a lot of time before the holiday season approaches, but there is always one holiday in October that always seems to sneak up on us – Columbus Day. Think back to your grade school years. While the lessons in themselves may be a bit foggy, you likely remember this rhythmic line, “In 1492, Columbus sailed the ocean blue.” We were taught that Christopher Columbus was the first person to set sail and set foot on the “New Land,” but in the last few decades, historians have revealed what they believe is the actual history. There are a few theories depicting the birth of America, including one that a Viking actually arrived nearly 400 years before Columbus was even born. Exploration was a family business for the Erikssons. Leif was the son of Erik the Red, founder of Greenland. It’s believed in the year 1000 AD, Erikkson sailed to Norway where he was converted to Christianity by King Olaf I. Then he set out on his next great adventure. We have heard differing stories, some believe that Erikkson got lost traveling back to Greenland and sailed off course; others say that he heard rumor of a new land and went off to see it for himself. Regardless of the background, Leif discovered the North American continent. He spent winter exploring a region he called Vinland, what many now believe to be Newfoundland. After a few months, he traveled back to Greenland and never returned. Other competing theories say America’s first discoverers could have been Irish monks or Chinese explorers. So, if Christopher Columbus wasn’t the first to discover America, why does he get a holiday and the credit? The answer is actually quite simple. Many believe he is known as the founder because he was the first to open up America to Europe – the world’s greatest expansionist at that time. We know now that there were already millions of people already here – the Native Americans, so it is likely that their ancestors were truly the New World’s first explorers. Today, 17 states have chosen not to observe Columbus Day as a national holiday. Several cities and states are now choosing to celebrate instead with Indigenous People’s Day. Hopefully, as time goes on, we will continue to learn more and more about the history of our country. We know that our past may not be perfect, but remember, it’s the struggles and challenges that show the greatest lessons and give us the opportunity to come together as one. Who’s ready for some… eyeglass recycling? If you’ve been following the Wisconsin Lions Centennial Challenge, then you already know that Lions are on a mission to collect used eyeglasses and deliver them for processing at the Eyeglass Recycling Center, here in Rosholt. But what you might not know is that the goal has increased. Previously, Wisconsin Lions were aiming to collect 100,000 pairs of glasses (in honor of the Lions 100th year) from October 1 to May 6, but the goal has recently been updated to 250,000 pairs. If you have an extra pair of used eyeglasses sitting around the house, you can help us hit the target! By donating to a local club. Many clubs are participating in area eyeglass recycling and will then deliver or shipped directly to the recycling center. By catching the WLF trailer during the Centennial Bus Tour. There are only 17 more stops left on the tour. You will likely see the trailer in area grocery stores, retailers and one other in fairly well known location to football fans in Green Bay – Lambeau Field Parking Lot. If you’ve been looking for an excuse to take a road trip to see the Packers Hall of Fame, you’ve got one. The WLF trailer will be parked in the Lambeau Field parking lot on Thursday, April 27, from 9 am to 3 pm. Consider donating your used glasses and then exploring Green Bay at your leisure. Can’t make it next week? Check out the rest of the Eyeglass Tour locations here. Time is running out. The Centennial Eyeglass Challenge ends on Saturday, May 6. Keep in mind that all glasses will be sorted, cleaned and categorized before being distributed to someone in need; whether your eyeglasses are dirty, broken or a season behind in the fashion world, or look as good as new, we want them all. Your pair of eyeglasses may be the pair that allows a father to improve the life of his family or helps a child to see and learn. Consider donating yours today! Beep beep! The Centennial Bus Tour is making its final stop in the second leg of its countrywide tour in Wisconsin this Saturday. Are you ready to serve alongside the president? International President Bob Corlew started his bus tour at the beginning of the year to promote the Lions Centennial Celebration in an eye-catching, shrink-wrapped bus donning the new 100 logo. From February 18 to 27, 2016, he and his wife, Lion Dianne, and LCI staff drove through nine states in nine days. You can learn more about the first part of their adventure by visiting the Lions Club International Blog. Now, they’re on the road once more, this time visiting the Northern States. So far, they’ve visited Ohio, Indiana, West Virginia, New York, Connecticut, Rhode Island, Massachusetts, Maine, New Hampshire and Vermont, with many more stops to make before getting to the Badger State. District MD27 has a big day planned for them on Saturday. We will be counting eyeglasses, conducting eye screening and educating the public about diabetes from 12 pm to 2 pm at the Mars Cheese Castle in Kenosha, and from 4 pm to 6 pm at the Country Inn and Suites in Brookfield. We will end the day with a reception celebration and new member induction from 6 pm to 8 pm. What better way for new Lions to know that we all really are connected to members all over the world? Can’t make it out this Saturday? You can still help the cause! October 1 is the first day of our statewide Centennial Project to collect 100,000 pairs of eyeglasses to donate. As always, all eyeglasses will be processed at our Eyeglass Recycling Center. We’d love for you to start collecting all unused glasses. More details will follow as they become available. Eyeglass Collection challenge ends May 7th, 2017. We are looking forward to meeting and serving with the International President this weekend. What a great way to continue our Centennial Celebration! How are you celebrating our 100th anniversary? We all know that the month of October has many associations: breast cancer awareness, changing fall colors, Halloween and pumpkin-flavored everything. There is one more association that is missing from the list, and it’s a big one – beer. Each year, Oktoberfest takes place in Munich, Germany. The celebration is the world’s largest beef festival that begins on the third Saturday of September. The event attracts approximately six million people from all over the world. Since we can’t all swing a trip to Germany for a 16-day adventure, we have our beer celebration. Wisconsin has Oktoberfest celebrations in Appleton, Germantown, La Crosse, Lake Geneva, Madison and New Glarus. Although the official Oktoberfests have come and gone, the celebration of beer continues this weekend in Milwaukee at the Wisconsin Craft Beer Festival. On Saturday and Sunday, people from all over the state will come together with the best beer and breweries at the Harley-Davidson Museum®. The festival will not only feature beer tasting from over 50 breweries, but there will also be classes if you are interested in learning more about homebrewing from world-renowned experts. If you’re still looking for a way to fill up your weekend, this might be a great opportunity for all you beer lovers out there. Take a trip to the “Beer Capital of the World”. Tickets are still available. From all of us at Lions Pride, have a safe and enjoyable weekend! Long-time Lions know that we are entering an exciting time of the year. If you’re a newcomer, you may not know that October is the beginning of our fall convention line-up. For the next few weeks, we are going to be traveling to districts across the state to talk about all things Lions Pride. This weekend, we are going to be headed to Wausau for the District 27-C1 Convention at Howard Johnson’s Hotel and Convention Center. This particular convention is the first of ten district conventions in MD27. The convention will kick off Friday night with C1’s Annual WLF Live Auction. Generous donors have donated fantastic items that are up for raffle. The proceeds of the event will go towards WLF projects and programs. Saturday morning, we’ll get an early start with the Strides Walk for Diabetes. The walk/run will begin at 7 am and will be held indoors (so your excuse that it’s just too cold is invalid!). The event will promote diabetes awareness as well as the importance of healthy exercise. The rest of the day will be filled with educational seminars to help expand your knowledge of the LCI organization and strengthen yourself as a Lion or Lioness. If you or another member of your club has not yet attended a district convention, we strongly encourage you to register for an upcoming event. There is no better way to learn about area service projects, improve your leadership skills or meet other passionate Lions than at a district convention. The information shared at these conferences adds to the success of every participating member, which will then strengthen the club. Lions Pride is looking forward to seeing both new and familiar faces at this weekend’s convention! Will you be in attendance? A lot of historical events happened in October. Which one surprised you most?